VicPlan has recently been updated to version 2.2.0. New features include a data catalogue, overlay inter-sector tool, improved map layer styling and new data (available in new catalogue feature) which include Precinct Structure Plans areas, Historic LGA boundaries 1991 (pre LGA amalgamation) (10 January 2019). DELWP is seeking feedback on the management of buffers and separation distances to assist in developing options for future reform. Feedback can be provided on the DELWP website until 5pm Friday 15 February 2019. To make a submission or for further information please click here (10 January 2019). 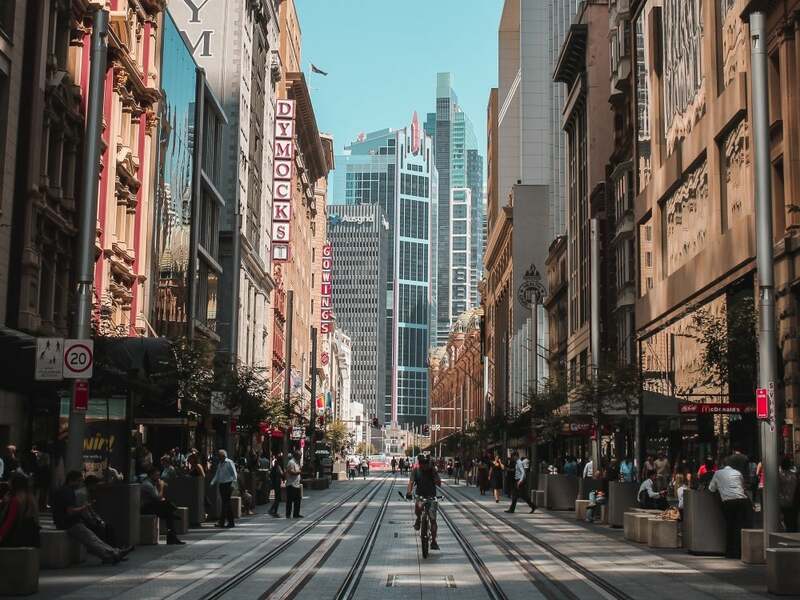 The NSW Government has accepted all 19 recommendations made by former NSW Deputy Police Commissioner Nick Kaldas in his recently-published Review of Governance in the Planning System. The full report is available on the department’s website (18 December 2018). The Queensland Government has notified the Retirement Villages Regulation 2018 (RV Regulation) which will commence on 1 February 2019. The amendments contained in the RV Regulation give effect to the first stage of implementation for the legislative amendments passed in 2017. Accompanying the RV Regulation are a series of new forms that operators will need to implement prior to the 1 February 2019 commencement date. The forms include the new Village Comparison Document and Prospective Costs Document that will replace the Public Information Document for new residents. The recently released State of the Environment 2017 report (SoE2017) provides a comprehensive assessment of Queensland’s environmental performance over the past two years. SoE2017 is an interactive data-driven website, allowing users to source regionally-specific data and content, across the five report themes—biodiversity, heritage, pollution, climate and human settlements. NOTE: QDesign would be followed by a supplementary online design resource, QCompanion, which would provide ideas and techniques for the translation of the priority design principles and strategies. Part of the Financial Assurance Framework Reform package, the discussion paper sets out alternatives for these residual risk payments. It will also help companies plan rehabilitation early to minimise the residual risks left at the end of mining. Public comment on the Managing Residual Risks in Queensland discussion paper closes 1 February 2019. See the discussion paper here. TORTS — Nuisance — private — herbicide spray drift damage to neighbouring spring onion crop — substantial and unreasonable with use and enjoyment of land. TORTS — Negligence — duty to take reasonable care, when spraying herbicides, to avoid a foreseeable risk of damage to neighbouring crop — breach established — causation established. DAMAGES — Quantum — loss to be compensated — method of calculating loss — determination of likely yield rate and likely price. PLANNING AND ENVIRONMENT – Application for enforcement order in relation to plan of subdivision – alleged contravention of planning scheme and planning permit – where plan of subdivision registered – whether planning scheme and planning permit impose obligations surviving registration – leave refused – Subdivision Act ss 5, 6, 21, 22, 24 – Planning and Environment Act ss 114, 119 – Manderson v Wright  VSC 677 considered. PRACTICE AND PROCEDURE – Decision of Victorian Civil and Administrative Tribunal to reject application on basis of lack of jurisdiction – Whether VCAT lacked jurisdiction – Victorian Civil and Administrative Tribunal Act 1998 ss 43, 71. PRACTICE AND PROCEDURE – Leave to appeal – Where applicant has established error – Whether applicant would suffer injustice if error were uncorrected. Section 77 Planning and Environment Act 1987 - Moorabool Planning Scheme - farming zone - existing wind energy facility - impacted avifauna species - frequency and duration of surveys on potentially impacted avifauna - whether existing use rights for an existing and continuing use should be restricted as a consequence of a new section 2 use on the same land - whether the Responsible Authority should have authority over conditions on the permit. APPEAL – Leave to appeal – finding of misrepresentation in connection with agency agreement – failure to disclose relevant market conditions – decision available on the evidence. VALUATION OF LAND – Valuation methodology - whether “piecemeal” or “before and after” approach is most appropriate – degree of flood affectation and effect on development potential – extent to which potential purchaser would seek advice on flood affectation – parameters of “public purpose for which the land was acquired” per s 56(1)(a) of the Valuation of Land (Just Terms Compensation) Act 1991 – whether statutory disregard in this instance requires that s 94 contributions plan, or SEPP or Council flood mapping, be disregarded – statutory disregard of public purpose applies only to the land that has been acquired – whether changed access arrangements constituted injurious affection – whether any betterment offset injurious affection. ADMINISTRATIVE LAW - Government information - decision to defer access after granting access-power to decide to defer access - rights of internal review - sections 80(h), 78,88, 54(6) and (7) Government Information (Public Access) Act 2009. OFFENCES AND PENALTIES – sentence – knowingly harming an Aboriginal object – culturally modified scar tree – cutting down and removal of scar tree – restorative justice intervention in sentencing process – objective circumstances of the offence – undermining the statutory objects to conserve Aboriginal cultural heritage – significantly increased maximum penalty – substantial harm caused – practical measures to prevent harm – control over causes of offence – offence committed recklessly – medium objective seriousness – subjective circumstances of the offender – lack of prior convictions – early plea of guilty – remorse for the offence – assistance to authorities – unlikely to reoffend – retributive, preventative, reparative and restorative purposes of sentencing – monetary penalty directed to Aboriginal cultural heritage projects – publication and notification orders – order to establish training courses – payment of costs Sentencing – restorative justice conference – process for – agreement reached – use of conference and agreement in sentencing. APPEAL – Development applications to carry out works to repair sea walls – sea walls built on public beach – jurisdictional preconditions to the power to grant development consent not satisfied – Court not satisfied that the works will not unreasonably limit public access to or use of the beach – Court not satisfied that the works will not impede or diminish the right of access of the public to or along the coastal foreshore – appeals dismissed. PLANNING AND ENVIRONMENT – APPEAL – Where applicant seeks a declaration in an applicant appeal about the proposed use of land for a Truck parking use – where the proposed use is not a use for which approval was sought in the development application the subject of the appeal – whether the proposed use is ancillary to existing lawful uses – whether the proposed use will be lawful – whether the court has power to grant the declaration – whether the discretion should be exercised under s.446 of SPA to treat the application as a fresh proceeding for a declaration. PLANNING AND ENVIRONMENT – APPLICATION – Applications in pending proceeding – where the substantive proceeding involves two appeals ordered to be heard together – where those appeals concern competing applications for a shopping centre – where in one appeal the appellants are appealing council’s decision to grant the co-respondent’s a development permit for a material change of use to facilitate a local centre – where in the other appeal the appellants are appealing council’s decision to refuse their own application for a preliminary approval for a material change of use to facilitate a local centre – where the plan included in the appellants’ application was not intended for detailed design or assessment and the appellants did not seek approval in accordance with it – where the appeals are part-heard – where the court has been asked to decide four applications in pending proceeding – where the appellants’ applications seek to adduce new evidence and further amended plans and re-open traffic evidence – where the appellants also propose a minor change and then an amended minor change and seek to tie the appellants’ development application to the further amended plans – where the co-respondents seek to de-couple the appeals – whether the appellants’ proposed change is a minor change – whether the appellants should be permitted to change their application – whether the appellants should be ordered to pay costs – whether the appeals should be heard separately. PLANNING AND ENVIRONMENT – APPEAL – Where the appellant seeks a development permit for reconfiguration of one lot into two lots and a development permit for material change of use and preliminary approval for building work for a dwelling house on a small lot and a dwelling house – where the application is code assessable – where the Council refused the development application – whether the proposed development’s height and rear setbacks comply with the assessment benchmarks – whether compliance can be achieved by imposing development conditions – whether the amendments to City Plan 2014 should be given significant weight – whether the court should approve in the event of non-compliance with the benchmarks. The complaint is dismissed. No case to answer – section 24 Criminal Code. In brief, the complaint is that the defendant carried out assessable development, namely building work (demolition of two dwellings) at 36 and 40 Power Street, Norman Park (“the subject properties”) without an effective development permit contrary to section 578(1) of the Sustainable Planning Act. ENERGY AND RESOURCES – MINING FOR MINERALS – COMPENSATION – ASSESSMENT – ADJOINING LAND – Where land is divided into lots – where lots operated as a grazing business in aggregation – where proposed leases do not affect all lots in the aggregation – whether applicant entitled to compensation for land not subject to applications – whether applicant entitled to compensation for the cost of obtaining a replacement property – what value is to be given to balance land unaffected by applications. ENVIRONMENT AND PLANNING – ENVIRONMENTAL IMPACT ASSESSMENT AND APPROVAL – OTHER STATES AND TERRITORIES – Where the respondent refused the appellant’s development application – where the matter was listed for hearing – where prior to the commencement of the hearing the respondent made an application that the hearing be vacated on the basis of a jurisdictional issue – where the appellant erred in lodging the application as being code assessable only and the relevant council officers did not detect the problem – whether the court has jurisdiction to hear the appeal. ENVIRONMENT AND PLANNING – ENVIRONMENTAL PLANNING – DEVELOPMENT CONTROL – CONSENTS, APPROVALS, PERMITS AND AGREEMENTS – MODIFICATIONS – SUBSTANTIALLY SAME DEVELOPMENT – where the respondent refused the appellant’s application to reconfigure his land – where the matter was listed for hearing – where prior to the commencement of the hearing the respondent became aware that the application was improperly classified as code assessable rather than impact assessable – where the appellant contends that changing it from a community management scheme to freehold title cures this defect – whether this constitutes a ‘minor change’. PLANNING AND ENVIRONMENT – APPLICATION IN PENDING PROCEEDING – APPLICATION FOR JOINDER – Where the appellant seeks to extinguish an easement through the appeal proceeding – where the easement benefits the applicant for joinder – where the applicant for joinder applies to be joined to the appeal proceeding – where the applicant for joinder has other remedies available under the Planning Act and these remedies could not be obtained event if it becomes a party to the appeal – whether the applicant for joinder being added as a party to the current proceedings would be desirable, just and convenient. 10/01/2019 - This instrument determines ‘Species and Ecological Communities that are severely affected by fire regimes’ as the conservation theme that the Minister has determined should be given priority for the assessment period commencing 1 October 2019.